What Genevieve has learned in life is that people leave--that she doesn't know how to love properly, and so people leave. Her mother died. Her uncle sent her away from Paris. Her husband was unfaithful. Can she make a new beginning in Paris? Or is she just running away? The main portion of the book is Genevieve's experiences in the present day, but in interspersed chapters we see Angela's Paris visit in the early 1980s, and Genevieve's in the late 1990s. 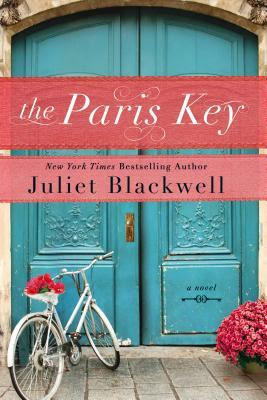 Meanwhile, in the present, Genevieve gets to know her French cousin and French neighbors, and a handsome Irishman living in Paris, works on the last few locksmith jobs Dave left undone when he died, and battles French bureaucracy for the necessary permits and license to keep operating the locksmith shop. Oh, and getting more and more caught up in the mystery of exactly what happened to Angela in Paris, and why there was so little contact between Angela and her seemingly much-loved older brother. And what about the ancient Syrian key that Dave gave Angela, which Genevieve has kept as keepsake of her mother? Is there anything it unlocks today? This is not a book with much action as such. It's a book of character development, hidden emotion, a bit of mystery, and a bit of romance. And it's extremely well done.